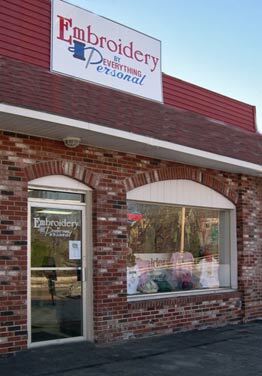 Embroidery by Everything Personal was founded in 1994 in Manchester, NH specializing in custom embroidery. The business moved to Littleton, NH in November 2001. For many years we were located in the Historic Thayers Inn on Main Street, having moved to our current Cottage Street location in 2011. We use the finest threads, accurate and well tested equipment as well as our knowledge and attention to detail on each item we service. Our highly trained staff will treat your item with the care and expertise as if it were our own. We take great pride in offering high quality, affordable embroidery, promotional products and screen printing to fit your needs and budget.